What makes an immediate difference between CG and Photo Realistic Renders? 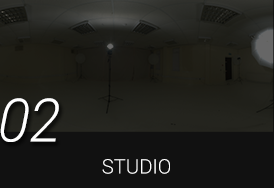 The answer is Image Based Lighting. This top HDRi sampler collection is composed of five key HDRi genres, and each category accentuates render quality to its corresponding 3D elements. Interior IBL gives subtle light coming from windows or other indoor lamps. This gentle shading and indirect lighting brings soft, emotional attachment to human portraits, allowing you to also use it for velvety commercial displays. Deteriorated ruins give a perfect contrast to mechanical subjects like sports cars, robots, and planes. The light shade from a broken roof or from open surroundings, give beautiful square-shaped light spots that are perfect on metal surface reflections. The light from natural environments are usually composed of large open skies, wide open fields, and sometimes sparsely scattered farm houses. The reflections on your subjects will include a clear horizon divided by an upper and lower contrast. 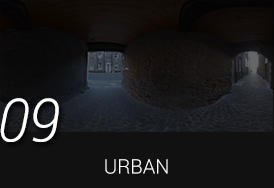 Urban IBLs are surrounded by modern buildings and public infrastructure that are occasionally dotted with city lights, living environments, and light spots that give your renders a breath of modern life. Have a look at the results reflected by this scene! Using surrounding light source reflections can deliver an awesome visual presentation to any project scene. This HDRi sampler fully enhances 3D object rendering and realism. The HDRi Fundamentals 25 pack is part of the Visual Essentials collection. Put aside amateur displays and step into professional 3D rendering, with genuine Image Based Lighting. Good HDRi sources extract authentic lighting schemes from high-definition light information. 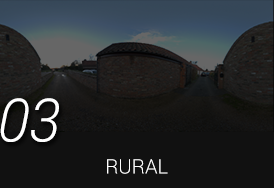 All HDRi are in 4K resolution for optimal reflection detail, and real-time processing speed. 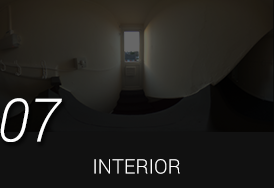 By using high exposure HDRi range panoramas, you can get incredible light effects in iClone 7 like never before. 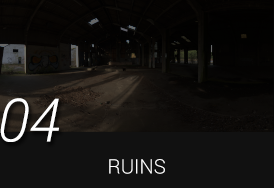 This pack includes 5 categories of 25 x 4K high-pixel panoramas like: interiors, ruins, studio, rural, and urban which bring different kinds of themes to discerning renders.